Metro Purple Line ( Wilshire / Normandie station) one block away. We are available for onsite and offsite private events. Please email or text the restaurant with brief description and we will get back to you as soon as possible. 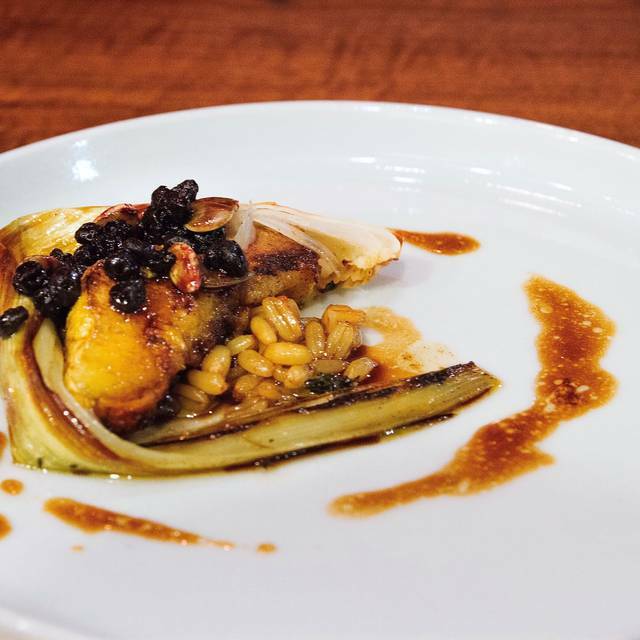 Le Comptoir is Chef Gary Menes' culinary perspective, served counter-side. 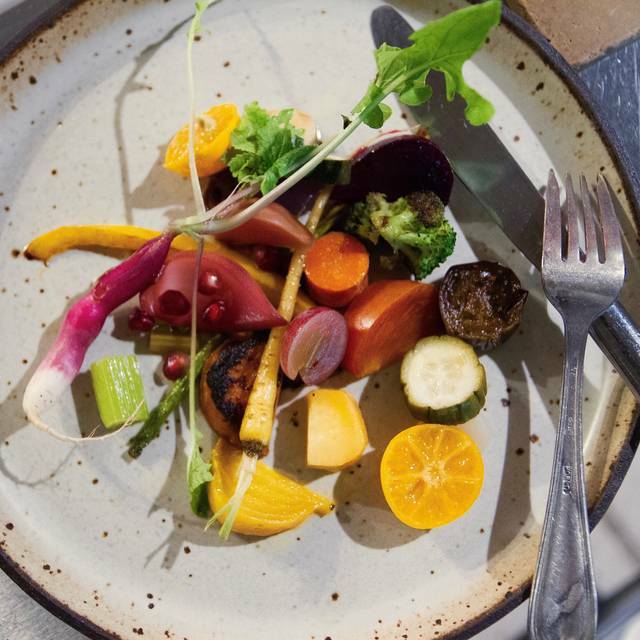 We feature an 8 course vegetable inspired tasting menu showcasing seasonal ingredients sourced from our own organic urban garden in Long Beach and local farmer friends. Thank you for considering us for your special evening. We book parties of up to 4 people four weeks in advance. We require a credit card deposit of $45 per guest to hold your reservation. We will refund the amount held when you and your guest(s) arrive for your reservation or if cancelled with in 48 hours of your reservation. Due to our small 10 seat counter we limit the number of persons on the reservation to 4ppl. You have up to 48 hours to cancel your reservation or to change the amount of guests. If we do not receive your cancellation with in 48 hours of your reservation a $135 per person plus 3% service charge, tax and 18% gratuity will be billed to your credit card. We look forward to cooking for you and your guest(s). Stellar food and service. We will be back soon! The space and ambiance are great. This was a wonderful night for us. We had a good time and the food was delicious. It was a pricy meal, but you know that walking in. They did an excellent job on accommodating our needs and the other guests as well. The service was well done. Our one recommendation is to not order the truffle dish as an add on. We tried all the add ons and did not feel this one was worth it. We’re glad we added it because we’d never had such big pieces of truffle before, but we wouldn’t order it again. Definitely order a bread to go, if it’s in your budget, because the bread was very good. Also include a coffee at the end, it was so scrumptious. One of the most fantastic dinners I’ve ever had. Well worth the cost. We will be coming back for sure. Always a fun experience. Chef Gary and his apprentice Alex are a great team! We were left waiting for 1/2 hour in the hotel lobby before being taken into the restaurant. No apology or acknowledgement of the delay. The carpet in the lobby was full of holes & held together with gaffer tape. Not a great start. We were brought through by the lovely Alex - very charming. They don’t have a wine list and prefer that you have the wine pairing. Im not a fan of pairings so we were left with choosing from the limited pairing offering. Music is playing very loudly. The first couple of dishes were superb. Soup followed by complex vegetable & fruit dish. Kind of went downhill from there. Dish with grits followed by dish with mashed potato were very similar texturally. Did I mention the awful loud music? Chef was completely disinterested in those dining there. Vast contrast to a similar set up at Dialogue in Santa Monica- there the chef holds court, exudes charisma and delivered kickass food. Good dining experience. Fun atmosphere and service was on point. Will give it another shot in the future to see what else chef Gary can innovate. Overall enjoyed myself at this restaurant. So my husband and I have been here three times, if I could, I would literally eat here every night for the rest of my life. Chef Gary is incredibly talented and provides thoughtful beautiful food. Every bite leaves you wanting more. His apprentice Alex is wonderful and Flor is sweet :) Can’t wait to come back again and again. Everything about Chef Gary and his team was so admirable. We enjoyed this experience from start to finish. The food was INCREDIBLE--truly one of a kind with an incredible story. Thank you Chef!! Excellent food and service! Wonderful experience! I love the concept of this small, counter-only tasting menu restaurant but sadly, the food just isn't very good. Dishes lack exciting flavor and a lot of the food comes out tepid. Sadly was disappointed and didn't feel like the it was worth it. Outstanding! 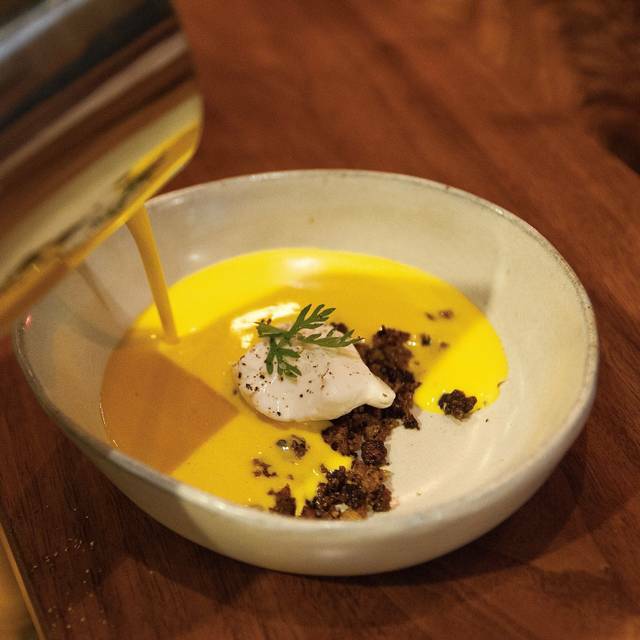 This is not your typical restaurant. Very small and intimate. 12 seat counter so you can see the food being prepared as the chef and staff explain the menu. I was a little leary of the "mostly vegetables and fruit" as I am not a vegetarian but it was wonderful and more than enough food. Be sure to purchase the wine pairing as it is a good value. Overall more of an experience or event than just dining. Fun to chat with the other guests as it is a very intimate environment. You can't go wrong here. Amazing choices of ingredients. The preparation really made the ingredients pop! The environment was beautiful and all of the team was very welcoming. Two hours of total deliciousness! Eight courses and each were sumptuous. The chef, and staff were extremely attentive and professional. An evening to remember. Every bite was an experience. We had such an amazing meal and cannot wait to do it again! 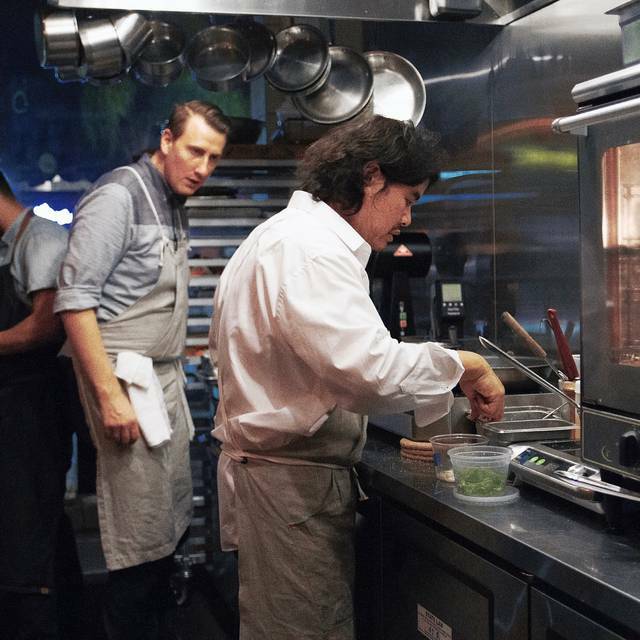 It's too hard to pick a favorite restaurant, but Chef Gary Memes is our favorite chef in LA. 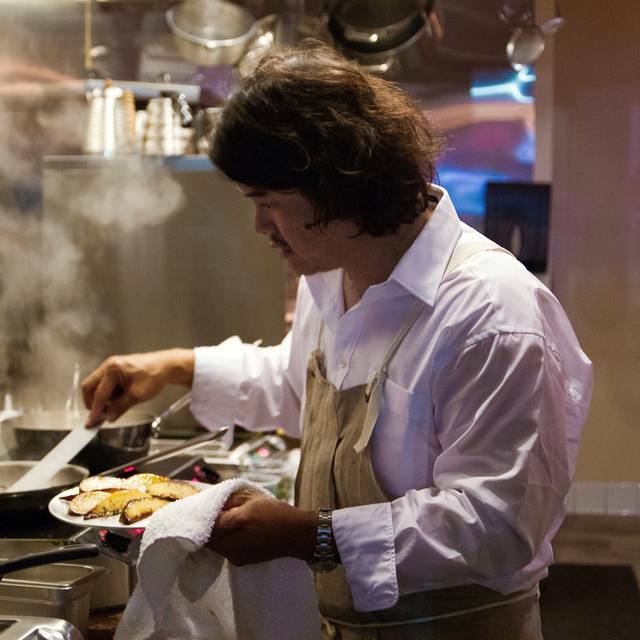 Everything about the restaurant is not just unique and perfect, but his personality and philosophy toward cooking shine through with every plate. The "fruit and vegetable" plate is just an arrangement of fruits and veggies on a dish, but it's possibly the best single plate you'll be served in Los Angeles. And whether or not you opt for the meat supplements (we've tried both ways), don't be turned off by the veggie focus if you're a meat lover. These plates have all the savory taste and substance that you typically expect from meat, Chef Gary just knows what he's doing and he and his always-awesome team just execute everything so well it's almost frustrating. All the technique of the fanciest restaurants but none of the pretention. This is the perfect chef and restaurant for the dining experience of getting to sit at the counter as they cook in front of you. Stay a little after you're done to chat with the staff. Always get the coffee. Food and whole vibe & cheif & staff , all was great. Chef Gary Menes is wonderful! Food is prepared in front of your counter seats and food is served and discussed throughout. It can make for a magical evening. Take an Uber and enjoy the wonderful wine tasting menu that is personally matched to each course by the chef himself. 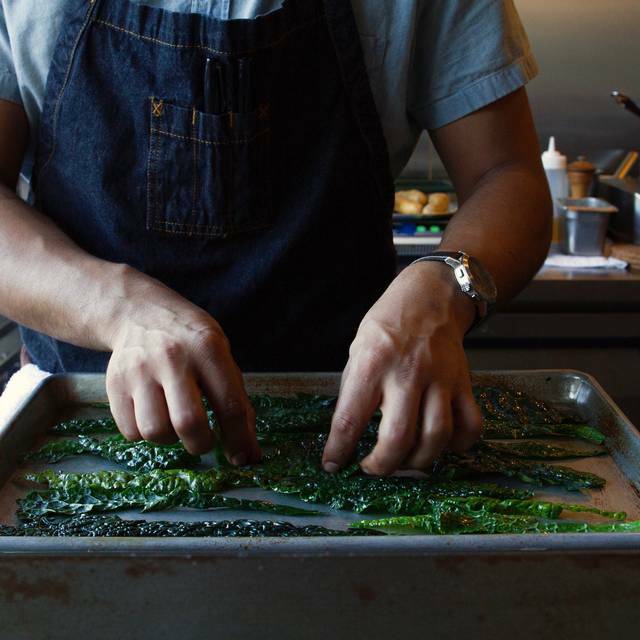 Much of the food is from his personal farm space in Long Beach and all ingredients are carefully and locally sourced. The food is imaginative and tasty. Worth visiting many times a year for sure. Love it! Le Comptoir is a very special destination restaurant in the Koreatown neighborhood of Los Angeles. The cuisine is fresh, unique, and delicious. It is lovingly cooked for all of us in ballet like perfection in a small kitchen. To watch the cooking process is great fun as well. This is my favorite restaurant in Los Angeles. I highly recommend Le Comptoir to all those who enjoy beautifully cooked, delicious cuisine with wonderfully paired wines. You all will have great fun along with a great meal! Primarily vegetarian fare, with optional meat and seafood supplements to the pre fixe menu. Excellent for all the various dietary restrictions and preferences in LA. The counter arrangement made it difficult for a group of 3 to interact. We also had quite a bit to confusion about finding the door to the restaurant, and not being seated until ALL parties arrive for the seating. Because the meal is cooked and served in a single seating, all guests must be ready to go, or just your own party. Now that we know that, it will be easier to navigate for next time. Outstanding! A truly memorable experience. Watching Gary do his craft is magical! Really great experience! Fantastic vegetarian cuisine with on point wine pairing. Nice to see the chef cook in front of us and see the plates assembly throughout the diner. Overall I will definitely come back, I would just not re order the Australian truffle which didn’t have much taste. 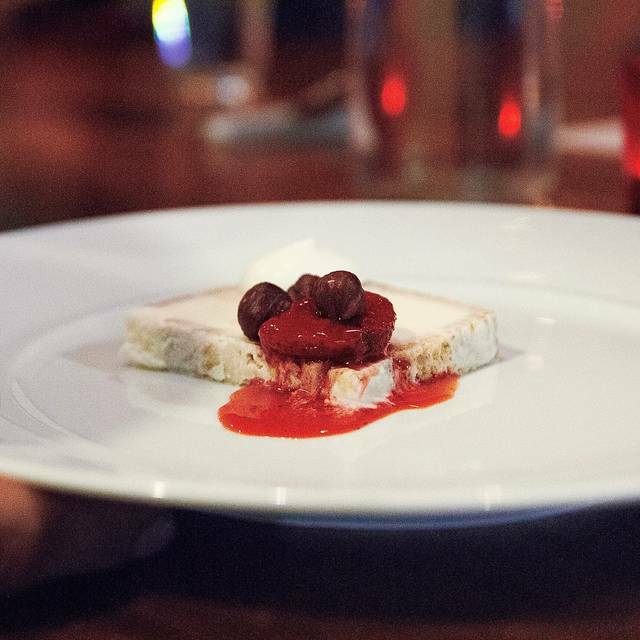 A tasting menu that one can return to again and again. Everything was delicious and made with expertise, care and love. Overall it was a great experience! I would love to go back there soon for another round of nice dinner. Experience was terrific! Food, service, quality and ambience. Would definitely recommend. Fantastic meal and experience. This is definitely a splurge, so be prepared for the bill and just enjoy the experience. Hats off the Alex, the sous chef who was just a fantastic host. Diners beware! Their cancellation policy is strict and they make no exceptions. I tried calling and emailing the restaurant to see if they would show me empathy as my child had a medical emergency. I tried to cancel my resie 36 hours ahead of tine but they would not return my calls or emails. I understand why they have a strict policy but life happens and a little empathy or at least a returned email or phone call would have been the right thing to do. The restaurant can keep my $350 but I will never return! What can I say I wanted to surprise my wife this past Saturday night and chef Gary did just that! The food was amazing, the ambiance was amazing the intimate setting was great. Thank you to Gary and his team for making such a night so memorable with amazing dishes and great service. Oh yeah and great music selection by the chef! Great intimate seating with fresh veggies and fantastic flavors. 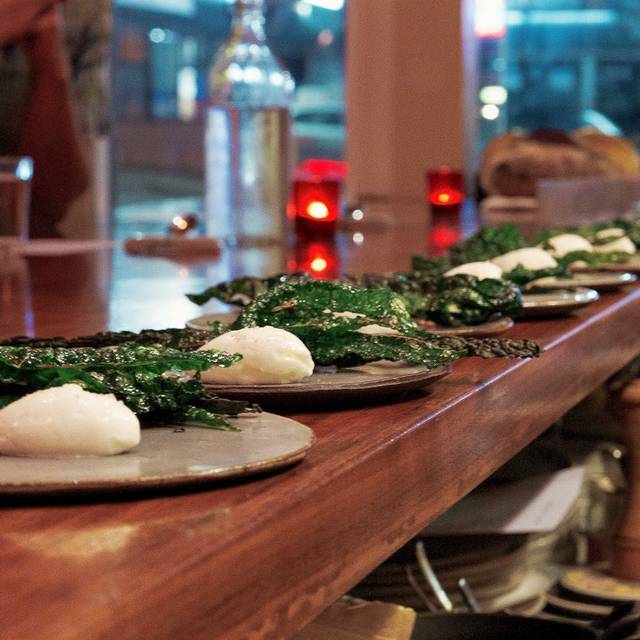 Le Comptoire was an experience and I would recommend to anyone looking for a special night out. They only seat 10 people at a time and no more than 4 per group, but it’s worth every hurdle. 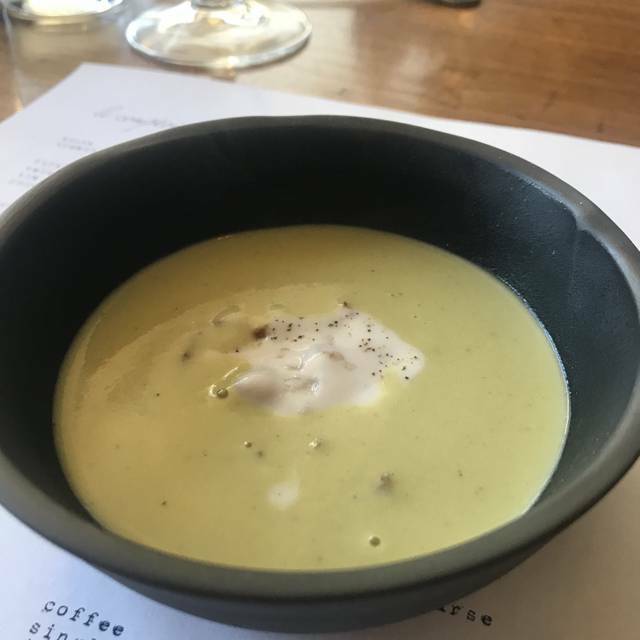 The food is outstanding, and the experience of meeting the chef, being seated right up by the kitchen, and having the menu explained to you course by course, only adds to the incredibly personal experience. A top site in Los Angeles for an intimate and special dinner. Great for vegan foodies and others! Love love love le comptoir. Wonderful food, wonderful service, wonderful experience. Chef Gary Menes is an incredible chef and gracious host. The small personal setting makes for a great experience. The wine pairing is always on point. Great for special occasions.